Lifting and moving large and heavy drums can be a challenge. You need a piece of equipment that can easily lift and transport your drum without any worries. Look no further than the drum located forklift attachment. What is the purpose of the Drum Locator Forklift Attachment? 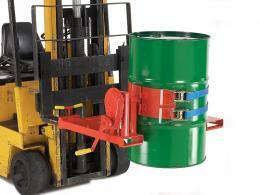 The purpose of the fork lift drum rotator is to lift and move steel drums up to 360kg and plastic drums up to 250kg. 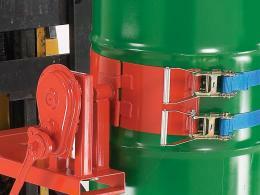 This device features a 200mm wide steel harness with two ratchet clamps that give you the ability to lift and rotate your drum. The rotator is secured to the forks by “T” bar clamping screws so no truck modifications are needed in order to use the machine. 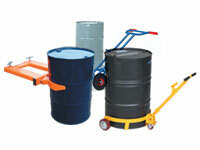 This product can be used at any job site and in any warehouse or factory where drums are routinely lifted and moved. This is also a great piece of equipment for if you need to empty the contents of the drum as well. With the drum rotator, you can easily pick up and dump the contents of the drum and not have to worry about spilling or dumping in the wrong location. The ease of working the equipment makes every use precise and exact. This product is going to be used primarily by warehouse workers and forklift operators. 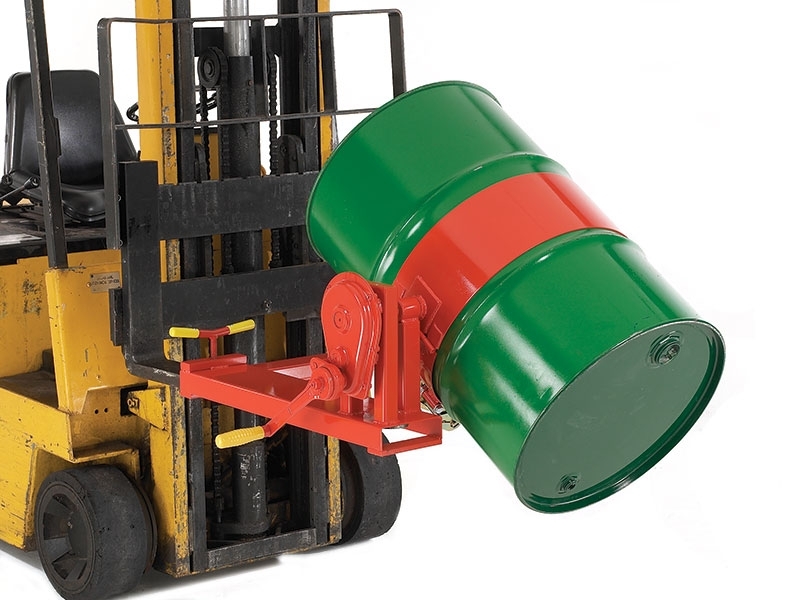 A forklift operator can fully rotate a 210 litre drum through 360 degrees using the drum rotator. Additionally, anyone who need to continuously empty drums would enjoy working with the fork lift drum rotator. The drum rotator uses fork pockets of 165w x 50Hmm with overall dimensions of 1200w x 800D x390Hmm. It is painted in a bright red colour, making it stand out from the traditional yellow forklift. Delivery is free to all customers who live within the UK mainland destinations and it takes, on average, around 15 days for delivery. Have no fear with purchasing the drum locator forklift attachment. It comes with a one year parts and labour warranty, giving you the confidence that you are purchasing a quality item.